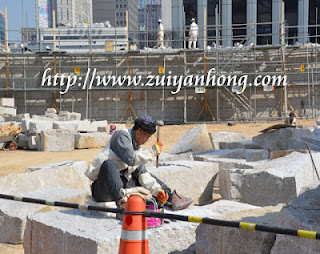 The restoration work of seriously damage Sungnyemun was started immediately after the fire. 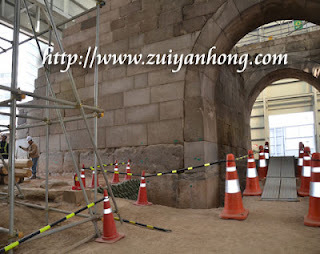 A guide line of the reconstruction project was set up to retain the original structure of Sungnyemun. Reuse of the remnants material is clearly stated. Documents and photographs are provided for reference. Experience technicians and professionals on reinstatement are involved. The recovery of Sungnyemun will be done in three phases from 2008 to 2012. The first phase had ended on May 2008. The second phase was from 2008 to 2009. The last phase will be completed in 2012.